Areas with high concentrations of network users, such as transportation stations or large commercial complexes put high stress on the BTSs that serve them. Simply adding more base stations increases cost, and can lead to signal interference if the eNBs at the base stations are not carefully coordinated. 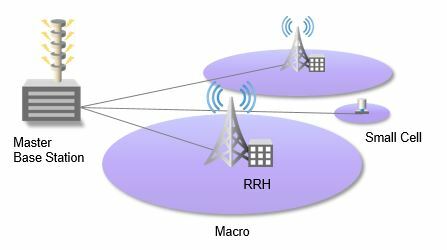 Separating the base station into two parts, the Baseband Unit (BBU) and the Remote Radio Head (RRH), allows network operators to maintain or increase the number of network access points (RRHs), while centralizing the baseband processing functions into a “master base station” (see figure below). Using a master C-RAN base station simplifies radio resource management in complex operating environments such as HetNet or Carrier Aggregation. These master base stations and their creation are also referred to as BBU pooling, or base station hotels. Each BTS requires a large upfront investment, and carries high operating costs as well. The costs of leasing a site, providing cooling, power supply and a back-up battery, etc. are multiplied by each individual BTS. Although these costs remain fixed, during non-peak times the eNBs at these base stations are often dormant or operating at a fraction of their capacity. Additionally, OPEX goes up with the cost of service and maintenance for each BTS. BBU pooling means that the costs associated with each BTS site can also be “pooled” into a single site, offering a significant reduction in both CAPEX and OPEX. 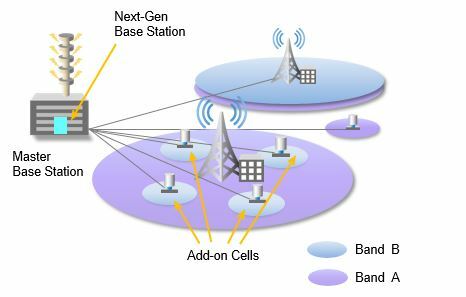 Co-locating the baseband processing functions at the master C-RAN base station eliminates the wasted resources of under-utilized BTSs, providing a “pooling gain” compared to a dispersed BTS architecture. 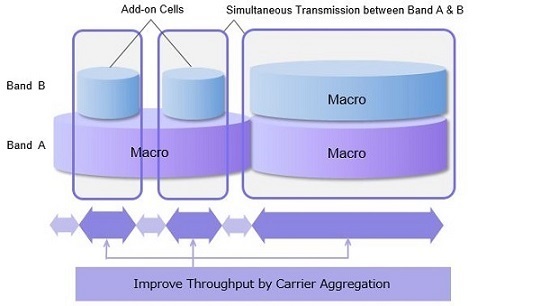 Centralizing baseband processing and control of radio resources in a single master base station makes implementing new technologies like small cells and Carrier Aggregation much simpler. As more frequencies are transmitted in the same geographical space, coordinated management of overlapping small cells and macro cells becomes essential. The C-RAN architecture flexibly manages a variety of coverage scenarios like those shown in the C-RAN and Advanced C-RAN (C-RAN with CA) Architecture diagrams.